The K7 kitchen sink mixer is a stylish tap with a high swivel spout and pull-down comfort spray head. Rinsing fruit or vegetables or cleaning the sink is effortless with this stunning tap. The tap features GROHE SilkMove technology for smooth handling of water flow and temperature. 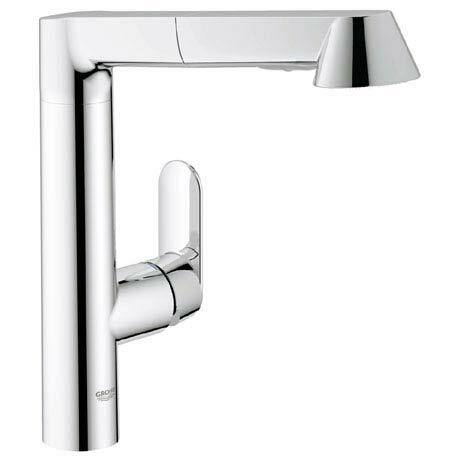 Manufactured using high grade materials and comes in the dazzling GROHE StarLight chrome finish. All Grohe kitchen taps come with a 5 year guarantee.